Understanding active solar energy technology can help you optimize your solar heating systems. From solar pool heating systems to solar water heating systems, active solar energy is a cost effective way for homeowners to take advantage of solar energy. 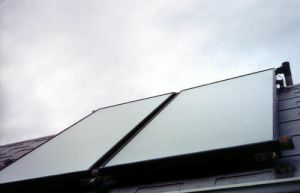 This solar energy technology is called "active" because you are "actively" gathering and using energy from the sun for your solar home heating needs. How does active solar differ from passive solar energy? Active solar uses special boxes called solar collectors to capture the solar energy and convert it into heat. Passive solar uses the design of the home to capture solar energy. Active solar uses mechanical systems such as pumps or fans to distribute the solar thermal energy captured from the sun. Passive solar doesn't use mechanical systems. It can be used on your existing home regardless of its orientation or design. It produces more solar thermal energy for your home than passive solar energy. The heat energy produced can easily be used throughout your home. It reduces your electricity requirements. It allows you to maximize your home's solar heating potential! Solar Energy Collection is done with a solar collector. The most common collector is the flat-plate collector, which is simply a glass covered, insulated box. Inside the box there are black absorber plates which absorb the solar energy and convert it into heat. The heat energy is then transferred to a fluid, usually water or air, that flows through the collector. This determines whether the system is liquid-based or air-based. Solar Energy Storage can be done with water tanks or thermal mass for liquid-based systems. For air-based systems, solar energy storage can be done with rock bins that hold the heated air. 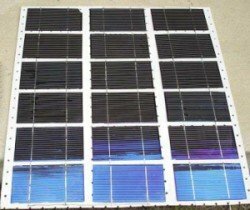 Solar Energy Distribution is based on the type of system used. Liquid-based systems will use pumps, radiant slabs, central forced air, or hot-water baseboards for distribution. Air-based systems will use fans and ducts to move the heated air. To heat the air inside your home, active solar space heating uses mechanical equipment such as pumps, fans and blowers to help collect, store, and distribute the heat throughout your home. Liquid-based systems will use large water tanks or thermal mass for heat storage. Distribution is handled with radiant slab systems, central forced air systems, or hot-water baseboards. Air-based systems will use thermal mass or rock bins to hold the heated air for storage. Using ducts and blowers, the hot air is then distributed throughout the home. To heat your home's water, active solar water heating uses pumps to circulate the water or heat-transfer fluid through the system. Indirect systems use a heat transfer fluid which is usually a water-antifreeze mixture. After the heat-transfer fluid is heated in the solar collectors, it is pumped to a storage tank where a heat-exchanger transfers the heat from the fluid to the household water. 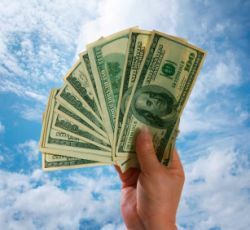 This type of system is also known as a "closed-loop" system. Direct systems heat the actual household water in the solar collectors. Once heated, the water is pumped to a storage tank and then piped to faucets for use in your home. Since this system uses regular household water in the collectors, it should only be used in areas that do not experience freezing conditions. This type of system is also known as an "open-loop" system. To heat the water for your pool, active solar pool heating uses pumps to circulate your pool water through solar collectors for heating and then back to your pool. Your pool is used as the storage medium for the heated water so there isn't any need for water storage tanks. Using active solar pool heating can extend your family's swim season while reducing your pool heating costs. Whether you're interested in solar space heating, solar water heating, or solar pool heating, active solar energy can help you take full advantage of solar heating. 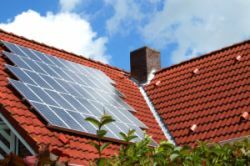 Use active solar technology to maximize your solar potential while reducing your home's heating costs!